 Real Estate North Shore MA - Waterfront Properties | J Barrett & Co. Discover our current waterfront properties for sale in Massachusetts' North Shore and the surrounding towns. Ranging from beautiful beaches and natural harbors to rocky coastline and wetlands, there are a variety of waterfront properties to explore on the North Shore. As varied as the location, you will find a mix of property styles on the North Shore from contemporary estates to quaint cottages. 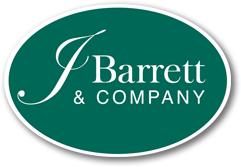 If you have questions, please contact J Barrett & Company today. Phenomenal panoramic views from this stunning oceanfront west-facing home sited on a point in Beverly Cove. Built in 2013, this 5 bedroom custom residence takes advantage of the ever-changing and dramatic coastal vistas. A creative blend of formal and informal living space is represented in the open-flow concept between the exceptional chef's kitchen with marble counter-tops, stainless appliances and long center island looking out to the water and the inviting family room with double-sided fireplace shared with the formal living room. Offering unparalleled opportunities for indoor and outdoor entertaining with access to the oversized bluestone patio. The formal dining room has direct ocean views as does the luxurious and private 2nd floor master suite. This one-of-a-kind property includes a quaint 3 bedroom guest cottage, direct beach access, deep water dock, outdoor shower and more. DIRECT OCEAN FRONT property with private stone beach and water access. Renovated in 2018, this architecturally designed home, flooded with light, offers an open floor plan that highlights stunning ocean views. With close to an acre of private land, the property has numerous gardens designed for low maintenance. The main level has a dining room, living room with floor to ceiling granite fireplace and kitchen with breakfast nook, custom cabinets and state of the art appliances. Upstairs, the beautifully design master suite has a spacious deck overlooking the ocean and a spa inspired master bath. Two additional bedrooms, large quest bath and exercise room/home office complete the 2nd floor. The finished lower level, included in the square footage, has a large bedroom, fireplaced family room, full bath, studio area, separate entrance and views as well. A heated over sized two car garage, new roof, whole house generator and so much more are part of this special property. Once in a lifetime opportunity to own a deep water dock on the Annisquam River in Lobster Cove. Manicured lawn with bordering gardens, patio and raised deck all provide beautiful sweeping views from the entrance of the Cove across the River to Wingaersheek Beach. The expansive waterviews are only more amazing from the upper deck off the master bedroom. Picture windows throughout the house along with french doors & sliders, bring the outside in and allow easy exterior access to the spacious yard. Views from most rooms. Tucked next to the AYC docks & ramp, focus ones attention on boats & water and creates an ever changing view. The old world character of large exposed wood beams & arched doorways blended with the modern flair of the open floor plan & rows of windows provide flexible & fun entertaining space for today's living. A coveted over sized one car garage and connecting breezeway with a rustic stone floor and skylight cathedral ceiling create a convenient & dramatic entrance. Stunning colonial on scenic road includes a portion of Ipswich River. This renovated 4 bed, 2 full and 2 half bath home with an abundance of natural light is move-in ready! Kitchen with double oven, gas stove, granite countertops and cherry island plus butler's pantry opens to large casual dining area & family room with fireplace/skylights/media/numerous built-ins. Fabulous sunroom opens to patio and fenced backyard. Dining room and living room, each with tall windows and fireplaces, connect via an office alcove. Oak floors throughout. Master Bedroom with cathedral ceiling and en suite bath, plus 3 add'l spacious bedrooms, full bath and laundry are on 2nd floor. Walk up attic with storage. State-of-the-art movie theatre, stage and playroom are on lower level. Central AC. Central vac. Automatic generator. 3 car garage with sep entrance office has AC/Heat and River Views. 5 bed septic. 6.5 mi to Crane Beach. 1/10 mi to Appleton Farm trails. Close to H/W top-rated middle/high schools. ONE OF A KIND ~ Tucked away off a historical country road & set on beautiful Rantoul Pond, the serenity & privacy of the location are unmatched at this Custom Built Summerbeam home. The house itself is a product of its surroundings; gorgeous beams paired with master carpentry, vaulted ceilings, incredible wine cellar and pond views. The surrounding area offers a sanctuary for nature enthusiasts w/ 5.79 acres and access to the pond for kayaking in the summer & ice-skating during winter! Wonder through the trees and bird watch from the shore. A gardeners paradise with attached greenhouse, patio and gardens. Privacy, acreage and location… This is a truly special and unique property in a highly sought after area. On the way to idyllic Crane beach and the wonderful events at the Crane Estate. Dining/wine cellar with barrel ceiling accessed by new stairs. Granite counter tops in cosy kitchen. This property is a sanctuary and A MUST SEE!! Call for a showing today! Attention Builders, Investors and Family Compounders! Unique development opportunity on Chebacco Lake with potential for four 40,000 SF lots. Waterfront access and spectacular views! This area is a wonderful combination of cottages and improved homes, perfect for primary residences or vacation property. Largely wooded and private, yet convenient to major routes and amenities. Property abuts a Gordon College parcel intended for seasonal collegiate and community rowing and recreation. No builder tie in. Call today for more information! TRULY ONE OF A KIND! This unique 3 FAMILY property on Revere Beach has the BEST Water Views. Consisting of a standalone 4-bedroom single family with beautiful woodwork throughout, a grand foyer with a fireplace, multiple staircases to the 2nd level, a finished basement and attic. The other 2-units are located behind the single family; a studio apartment layout and a multilevel 3+ bedroom 2nd unit. A huge lot, gated driveway and space to park 15+ cars, the potential is unlimited. Owner Occupied or Investors, this property is fantastic! Beautiful 6+ acres with fabulous marsh and river views. Public landing steps away. Easy access to Commuter Rail and 128. Short distance to Wingaersheek Beach and Stage Fort Park. Water and sewer at street, betterment has been paid by seller. Build your dream home at this spectacular location! Approved Lot! Build your dream home! Many lot improvements have been completed. Four-Bedroom Approved Septic and Well Installed! You have plenty of uplands and you are ready to build your dream home. An attractive and tranquil setting with pond views, open skies and a tree line in the background. Orders of Conditions Completed. Easy and quick access to Route 1A, downtown and beaches. Now Below Assessed Value and Ready to Build!